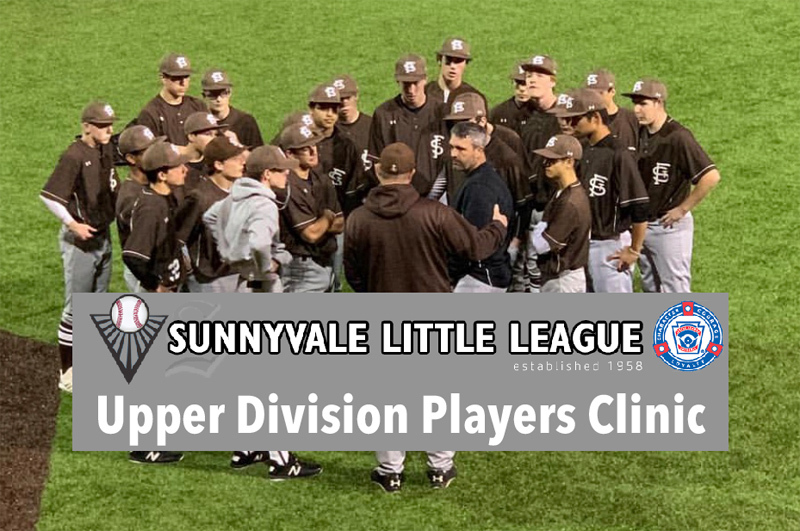 Sunnyvale Little League will be hosting an upper division players clinic on Sunday, March 24th from Noon to 3pm at Serra Park. This clinic is open to all registered Sunnyvale Little League Players in the Juniors, Majors and Minors Divisions. All participants should arrive in full baseball attire by 11:45 am. All players should bring their own gloves, bats and batting helmets. Catchers should bring catchers gear if they have it.